Krista and Dash; puppies, ballgowns and graffiti, oh my! It’s no secret that we are #weddingobsessed over here at The Beauty Movement and rightly so! On what other day is there so much magic and love and mimosas?! 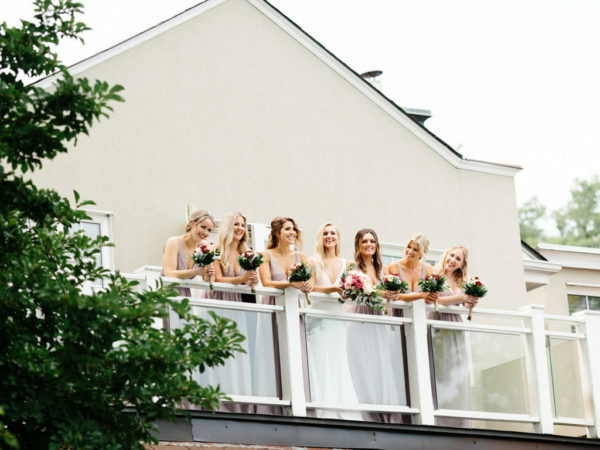 Krista and Dash’s wedding at the Royal Yacht club was all those things and more! Getting ready in downtown Toronto, the group was a blast to glam with and we love that there was a pup there with us during the morning. Krista’s dress was a stunning ball gown style, with intricate floral overlay and a simple, but stunning veil. Not pictured, the Bridal party chose their own dresses at the request of the Bride who wanted them to be comfortable for the big day! Ps – mismatched bridal squads are becoming a total thing for us. Taking inspiration from the amazing Meghan Markle, the hair styling was an elegant updo with a few playful wisps to frame the face. To achieve the volume Krista wanted and that dress demanded we used clip-in hair extensions. The best quality on the market, our extensions are 100% human hair and get matched to our client’s exact shade. They are easy to use and stay in place during all the photos and all the dancing, without damaging your hair! And while we love them for weddings, they are awesome for date night or any other event where you want that little bit extra for your look. Husband and wife photography team, Jenna and Dave Stark nailed it with these photos and that wall! 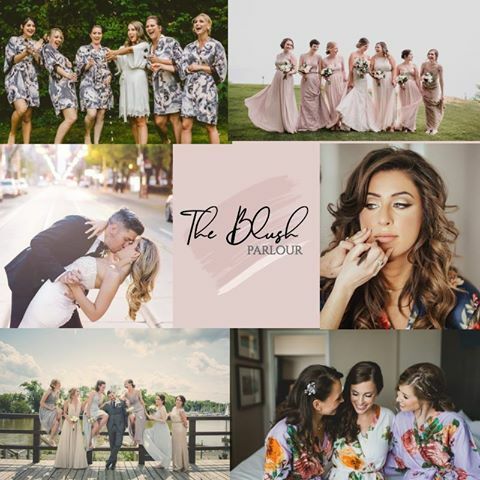 We are just smitten with the colors, all the beautiful things written on it and how it is literally the perfect backdrop for this dreamy wedding! Now if you’ll excuse us we are going to find that wall and get our selfie game on! Will Meghan Markle be a Modern or Traditional Bride?